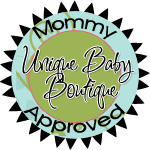 Welcome to Sew Cute Boutique! I'm glad you stopped by. Come in and look around. You will find tabs above (just underneath my logo)with more information about my shop and you will find links over to the right to specific items that I create. If you have any questions, just drop me an e-mail at Karoline.SewCuteBoutique@gmail.com. Please bookmark this page and visit often, as I will be continually adding new items. Aren't these Mod Monkeys just the cutest?? 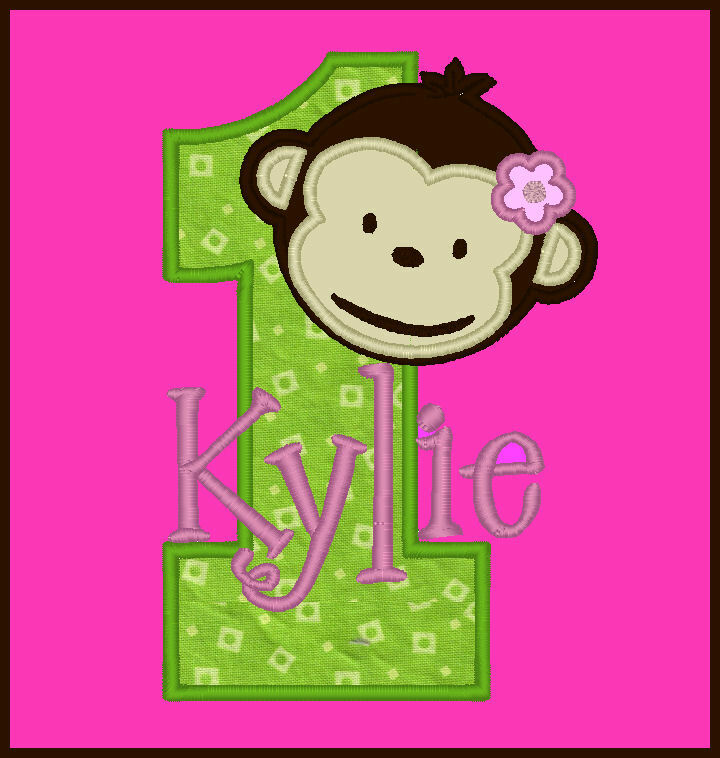 Now your little princess can join in on the Mod Monkey birthday fun. It's so fun to coordinate with the popular and adorable birthday partyware. 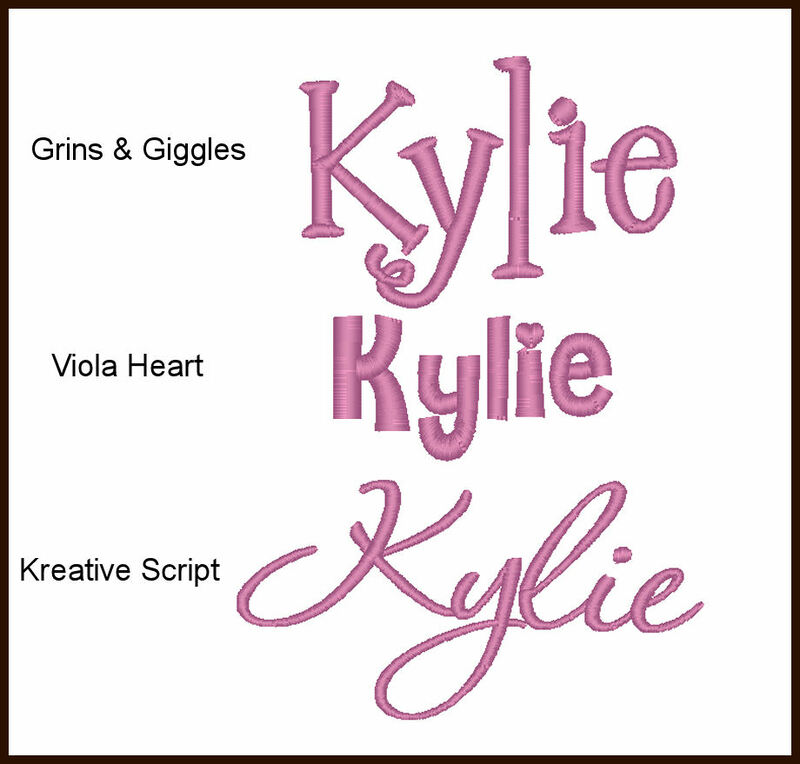 I have many fonts to choose from, but here are a few that I thought would be cute for this shirt. These shirts run quite small! Please order at least one size larger than your normal size and possibly even two sizes. 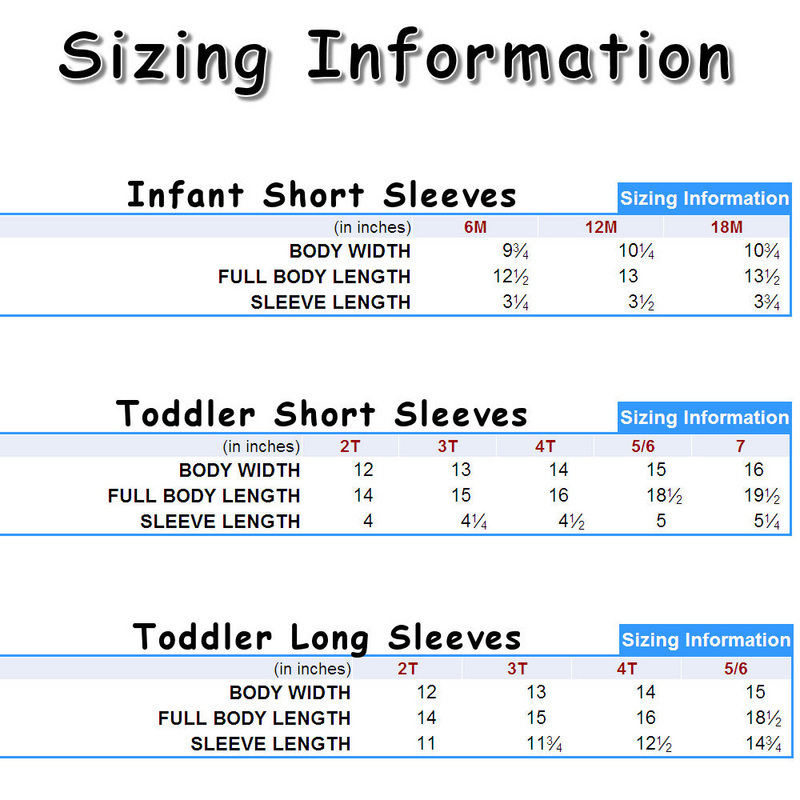 Please use the measurements from the size chart as a guide, but please also allow extra for shrinkage. Join my newsletter mailing list to be notified of sales, special events and new items. If you e-mail me, be sure to add my e-mail address to your contact list so that you will receive my e-mail response.